The OpenADR Alliance has created the Demand Response (DR) and Distributed Energy Resources (DER) Program Guide that outlines the most common Demand Side Management programs, how they are set up, and how they are implemented using OpenADR. The Alliance also created a testing and certification practice around these programs. This will enable utilities, manufacturers, and other users of the technology to easily identify which program works for them and which devices are suitable to be used. 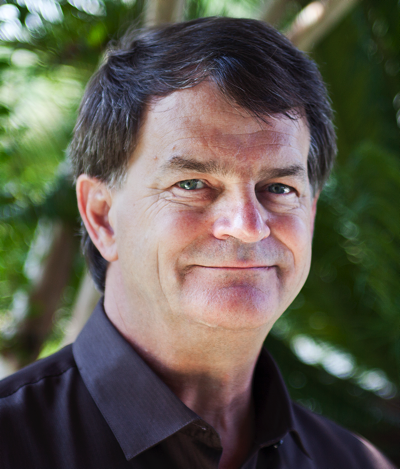 Jim Zuber is a co-founder of QualityLogic and the company's CTO. Many of the testing products architected by Mr. Zuber and released by QualityLogic over the past 20 years have become de facto testing standards in the smart grid, imaging, facsimile, and telephony industries. In July of 2011, the OpenADR Alliance selected QualityLogic to develop the certification test suite OpenADR 2.0, and Mr. Zuber led this development effort. In addition to writing the OpenADR 2.0 Test Specification and architecting the OpenADR 2.0 test harness, Mr Zuber has been a major contributor to the profile specification itself, has conducted OpenADR training classes throughout the country, and provides consulting services to companies implementing OpenADR. Mr. Zuber is currently leading the OpenADR Alliance effort to develop a Demand Response Program guide, one of the key topics discussed in this Webinar. On May 9, 2018, the California Energy Commission adopted updates to the California Energy Code (California Code of Regulations Title 24, Part 6) that specify OpenADR 2.0 as the required default demand response communication protocol for new construction in the state. These changes go into effect on January 1, 2020, and work has already started on the next code update cycle. The OpenADR Alliance and California Energy Commission (CEC) are eager to answer your questions and address your concerns! Please join us for a webinar on Tuesday, June 19th, at 8 AM PT. In this webinar the CEC will provide an overview on the updates to the California Code of Regulations (CCR) Title 24, Part 6, the energy efficiency standards for buildings. Other topics to be discussed include the below? Mr. Taylor is a Licensed Professional Engineer with the Building Standards Office at the California Energy Commission. Prior to this assignment, he served as an Advisor to Energy Commissioner David D. Hochschild, focused on renewable energy integration, energy efficiency, and state property sustainability. He also previously served as an Advisor to Energy Commissioner Jeffrey D. Byron between 2006 and 2008. 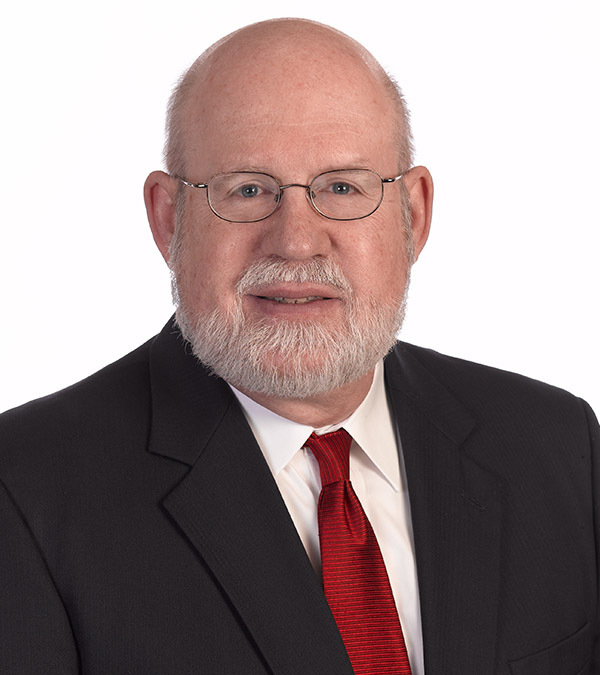 Mr. Taylor has been with the Energy Commission since 1999, working on a variety of energy policy areas including demand side management, lighting efficiency, industrial efficiency, appliance standards development, and power plant air quality impact analysis. Mr. Taylor holds a Bachelor’s degree from the University of California at Berkeley where he double majored in Mechanical Engineering and Materials Science Engineering, with an undergraduate emphasis in energy technology and policy. Overview: Millions of homes have load consuming resources that can be controlled via external signalling thanks to the Internet of Things (IoT) revolution. This presentation explores the state of the IoT driven home automation craze, how OpenADR might play a role in this space, lessons learned and reflections from OpenADR early adopter Universal Devices, and QualityLogic's experience attempting to OpenADR enable Samsung's consumer SmartThings hub. 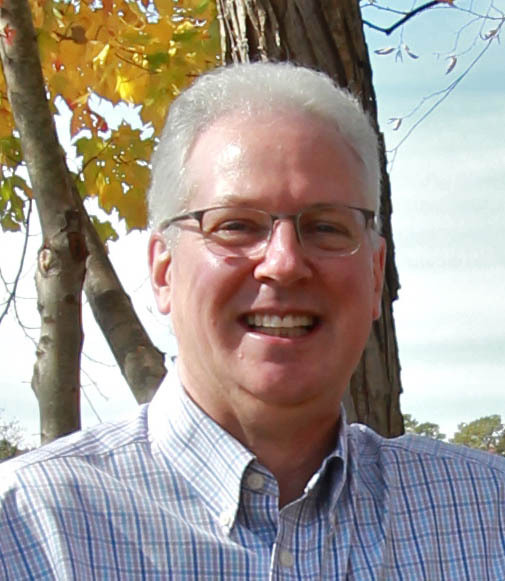 Jim Zuber is a co-founder of QualityLogic and the company's Chief Test Architect. Many of the testing products architected by Mr. Zuber and released by QualityLogic over the past 20 years have become de facto testing standards in the smart grid, imaging, facsimile, and telephony industries. Michel Kohanim is the CEO of Universal Devices, Inc. He has Masters in Artificial Intelligence, a veteran at IBM, and well versed in systems engineering, sensors and actuators/IoT, and machine-to-machine communications and standards. From disparate set of ideas to a successful, commercially available, and well known automation and standards based energy management brand – with a footprint of over 60,000 units – UDI is a testament to his vision and execution. He’s one of the original editors of OpenADR 2.0a/2.0b specifications and an active member of IPSO Alliance and thus brings with him a wealth of expertise not only in standards based architecture for energy management and conservation but also the brave new world of IoT. He believes that the marriage of Energy Management, Automation, and IoT (using off-the-shelf devices) is the most natural evolution of each. Overview: The Universal Smart Energy Framework (USEF) delivers the market model, the roles, the tools and the rules for energy flexibility trading. It connects projects and technologies at lowest cost and delivers a market structure for commoditising and trading flexible energy use. Discover how USEF accelerates the transition to an integrated European market for smart energy with a value-to-all model. Marten van der Laan is senior business consultant smart energy at ICT, and is delegated to USEFs Design Team as EV lead and one of the senior industry professionals. Marten has been active in the smart grid domain since 2007, with specific experience on Internet of Things technology, integration of renewables in the energy mix, smart energy services, demand response programs, and EV smart charging. Anton Stekelenburg works as Smart Energy Consultant at DNV GL and was previously employed by Essent, another USEF Founding partner. Within USEFs design team Anton focuses on processes and information exchange within and outside the framework, using the standards available. Distribution system upgrades can be stressful for utilities and customers, where the need for increased safety margins are heightened in order to manage grid reliability. DR programs typically require years to develop and deploy, but in this case, there are but months before the need for DR available load must be available. Discover how Duke Energy is utilizing OpenADR as an option to rapidly deploy a C&I load curtailment program by June 2016. The strengths of OpenADR’s certified products and vendor community provides this utility with the ability to quickly implement load curtailment programs under such tight timelines. 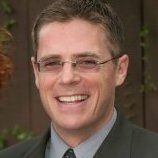 Speaker: Mark Kerbel is the CTO and co-founder of Encycle (formerly known as REGEN Energy), developers of the Swarm Energy Management platform, primarily deployed for commercial & industrial HVAC load control. Mark is chair of the OpenADR Marketing Working Group, and a longstanding member of the OpenADR community. He is based out of Encycle’s San Marcos, CA office. This webinar will provide an understanding of OpenADR 2.0. We will also specifically discuss the differences between the OpenADR 2.0a and 2.0b profiles, how the profiles interoperate, and which profile is being used. Hear from Honeywell how their products based on both profiles are being used in the market today. The OpenADR Alliance has created a draft Demand Response (DR) Program Guide that outlines the most common DR programs, how they are set up, and how they are implemented using OpenADR. The next step in the effort is to create a testing and certification practice around these programs. This will enable utilities, manufacturers, and other users of the technology to easily identify which DR program works for them and which devices are suitable to be used. Before the program guide and the test program are finalized we are interested in additional comments on the document. For this purpose, the alliance will hold a webinar to introduce the DR Program Guide and the individual programs. Comments are welcome for 4 weeks after the webinar. This webinar will review current trends in micro grids and will take an in-depth look at the process and methodology employed in the design and specification of a campus microgrid, designed to sustain campus operations without grid power. Attendees will also learn about how two exciting aspects of the Smart Grid interact, what microgrids can learn from the experience of demand response and how advanced control of microgrids will help the goals of AutoDR come to fruition. Patty Solberg is the Director of Product Marketing at Powerit Solutions. She is responsible for product definition, market analysis, corporate marketing, and engaging with strategic partners to define integration strategies. She began working at Powerit in 2011. Patty comes to the CleanTech community from telecommunications products, where she has a background in product marketing and product management DSL equipment and fiber communications and test equipment. 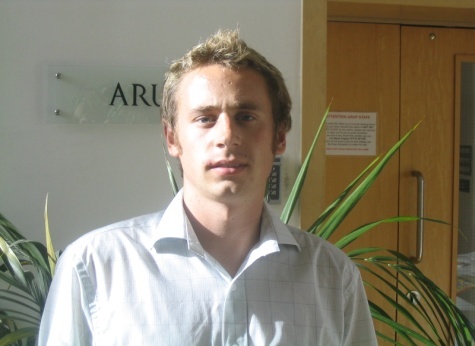 Russell Carr is a Chartered Electrical Engineer specialising in energy and water systems. He has a MEng (Hons) Electrical and Electronic Engineering obtained with first class honours in 2004. Russell has 10 years’ experience in the project management, feasibility, assessment, design, contracting and development of energy schemes both in conventional power systems and campus systems including microgrid. Russell is experienced in the use of a range of renewable energy software particularly WindPRO, WAsP and PVsyst. Russell leads Arup’s microgrid and energy storage consulting business development in San Francisco. He is responsible for developing business strategy and identifying consulting opportunities to leverage Arup’s technical and commercial microgrid and energy storage experience. Abstract: The commercial building industry is undergoing a sea change due to new demand response legislation introduced in California (Title 24), Texas, and New York. With commercial buildings consuming almost 35% of all electricity used in the US, buildings are a vital DR source for energy providers. The fact that many commercial buildings already have automated controls make them a natural target for automated demand response. The rapid proliferation of OpenADR enabled control systems is changing the way buildings are programmed and managed. Join us on April 21st to learn about the trends impacting buildings today and the new developments that will soon impact commercial buildings in the future. 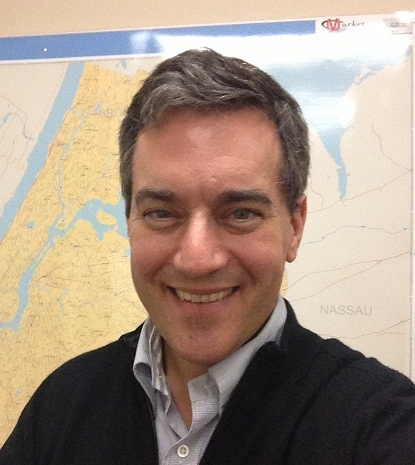 Allen Jones is an independent consultant specializing in the interaction between facilities and the Smart Grid. He has almost ten years of experience working on Smart Grid related topics. He serves on several national and international Smart Grid-related committees and also serves as an adviser to the BACnet Smart Grid Working Group. Previously, Allen was with Schneider Electric where he was responsible for managing standards activity and analyzing energy-related trends for the Buildings Line of Business. In that role he helped determine the requirements for a new energy reporting product, evaluated the gaps in a newly acquired energy reporting company, and served as a Smart Grid domain expert for a global proof-of-concept rapid development project. Anno Scholten, C.E.M, C.D.S.M, is President of Connexx Energy, a leading developer of applications and solutions that connect Smart Building with the Smart Grid. Anno has spent the last 25 years driving innovation in smart building systems and smart grid technologies. He has developed leading edge, smart grid energy products for the commercial building markets that have included Constellation Energy where he helped lead the design of Constellation’s pioneering automated demand response system, VirtuWatt Energy. During the last decade Anno has been a major contributor and leader in a number of critical standards efforts that have transformed building automation systems including BACnet, LON, and oBIX. 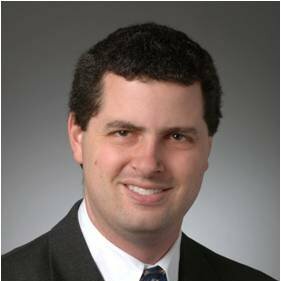 He is a widely recognized industry expert and sought after speaker at building automation and smart grid conferences and holds US Patents on Distributed-Architecture Building Controller, Automated Load Control and Dispatch System and System for Improved Energy Utilization of a Large Building or Facility. Jim Boch – Principal Electrical Engineer, Mr. Boch comes to IPKeys with 30 years of industry experience with Fortune 500 companies. Jim has experience in the electrical power distribution, lighting and information technology sectors. He has assumed progressively greater responsibilities from project engineer to national product sector manager. He has written standards for Underwriters Laboratories. He has performed engineering analysis of low and medium voltage power distribution systems. He has managed Advanced Concept Technology Demonstration (ACTD) projects for Philips Electronics and performed system engineering for the Joint Command and Control System for the Department of Defense. Most recently Mr Boch leads the IPKeys EISS product development team of demand response and energy efficiency control systems based on OpenADR 2.0b. Mr. Boch holds a BS in Electrical Engineering from the University of Illinois in Urbana – Champaign in communications and control systems. Abstract: EPRI has released open-source implementations of OpenADR 2.0b that are being used in demonstrations and commercial services around the world. This presentation will describe the collaborative project that developed the software and what components are available to the public. It will also present several other EPRI projects that are leveraging and extending the software to work with other DR protocols and devices. Walt Johnson is a Technical Executive at the Electric Power Research Institute (EPRI), where he specializes in smart grid technologies, standards, and IT Enterprise Architecture. He manages EPRI’s Automated Demand Response and Ancillary Services Demonstration Project and supports EPRI’s Transmission and Distribution Modernization Demonstration Projects on Data Analytics. Prior to joining EPRI, Walt spent nearly ten years at the California Independent System Operator (CAISO), during which time he served on the Technical Advisory Group for LBNL’s original AutoDR/OpenADR project. Abstract: This webinar will provide the audience new perspectives for Automated Demand Response standards and compliance in new construction, and to accelerate the automation uptake to support grid responsiveness of buildings. We will review the California's 2013 Building Energy Efficiency Code, Title 24, requirements as they relate to Automated DR programs. Participants will also learn about the proposed changes for the 2016 Title 24 Standards that will benefit the technology development and adoption of AutoDR in buildings. Girish Ghatikar is a Program Manager with U.S. Department of Energy's Lawrence Berkeley National Laboratory overseeing Demand Response (DR) technologies, Open Auto-DR (OpenADR) standards, international Smart Grid, and energy-related services and markets. Ghatikar’s background and experiences are in key areas of information technology, standards, technology transfer, and business innovation for Energy Efficiency, DR, Smart Grid, and its applications. Ghatikar serves on the Board of Directors and is the Vice Chairman for the OpenADR Alliance, Steering and Technical Committees for OASIS (Organization for Advancement of Structured Information Standards), and user groups to advance open Smart Grid innovation and acceleration. Ghatikar holds Master degrees in Telecommunication Systems/ Computer Technologies, and Infrastructure Planning/ Management, and Bachelors degree in Architecture. 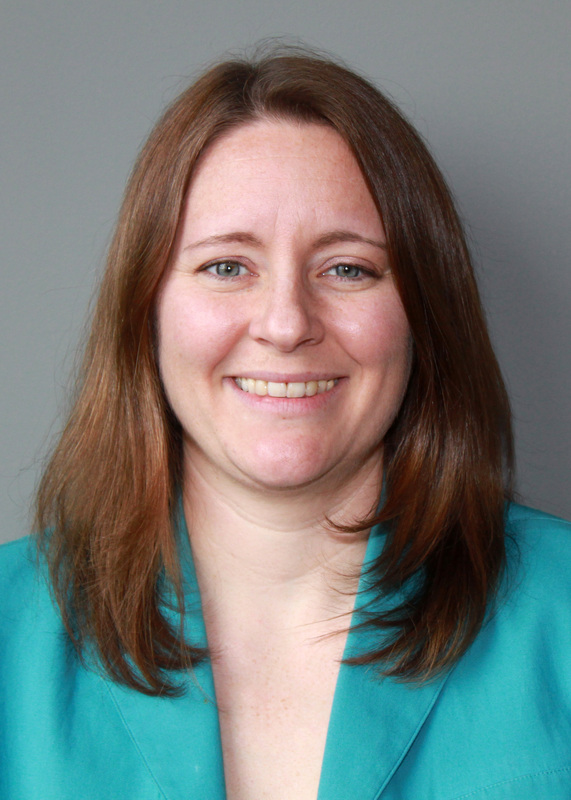 Heidi Hauenstein manages Energy Solutions’ project team that provides technical, economic, and political analysis to the California Energy Commission’s Title 24 building codes enhancement process on behalf of the Statewide Utility Codes and Standards Team. For the 2016 Title 24 code change cycle, Ms. Hauenstein is leading the effort to update the technical requirements for Occupant Controlled Setback Thermostats and is managing the advocacy effort for over 15 additional code change proposals. Previously, Ms. Hauenstein provided assistance in managing the Utility Team’s proposed revisions for the 2013 Title 24 Standards and evaluated technical and economic feasibility and advocated for the adoption of a Title 24 requirement that new nonresidential buildings to solar-ready, a requirement that was adopted into Title 24 and became effective in July 2014. Outside of codes and standards, Ms. Hauenstein helps implement programs that improve energy performance of public sector buildings. She has delivered project management support to more than 15 public agencies, including University of California schools, cities and counties throughout California. Finally, Ms. Hauenstein managed workforce development and training initiatives that offered free trainings for HVAC and lighting installation contractors and free energy efficiency workshops for local government staff. Utilities worldwide are implementing new energy efficiency programs based on the OpenADR standard for automated demand response. Today both Industrial and Commercial applications play an essential role in Demand Response (DR) programs. This session will provide attendees with an overview of the rapidly changing DR landscape and insight into preparing facilities for participation in Automated Demand Response (ADR) programs, specifically with examples of Commercial and Industrial buildings, both large and small and their experiences with OpenADR programs. We’ll discuss how increased use of automation makes it easier for facilities to participate in multiple ADR programs, while maximizing load contributions based on resource availability. Mark Kerbel is co-author of REGEN Energy’s swarm logic patents, and involved in the development, funding, and commercialization activities of the firm. His role is to derive enhancements to REGEN’s intellectual property & technology platform, as well as help develop strategic relationships with key industry partners. He is a frequent speaker on the topic of swarm logic and its application to Smart Grid and Smart Building technologies. Mark operates out of REGEN’s Newport Beach, California office.Prior to forming REGEN, Mr. Kerbel was co-founder of the SPi Group, one of Canada’s leading software solutions providers for the retail energy sector. As President & CEO of SPi’s predecessor, Screaming Solutions, he lead the merger of its software development practice with a joint venture backed by Ontario Power Generation and Toronto Hydro.Mark has been invited to join high-profile energy sector organizations including the DOE-sponsored GridWise Architecture Council, OpenADR Alliance’s Marketing Working Group, the Peak Load Management Alliance (Vice-Chair), and the Ontario Energy Board’s Electronic Business Transaction Standards Working Group (Chairman). Mark has been asked to advise the Technology Joint Sector Committee of the Ontario Energy Association, the Smart Meter Initiative of the Ontario Energy Board and the Regulated Price Plan Initiative of the Ontario Energy Board. He obtained his B.Math in Computer Science from the University of Waterloo. Historically the DR program designs have been unique, with each program tailored to fit the needs and preferences of the program designers as well as the structural and regulatory requirements of the geographic region deploying it. The OpenADR standard is the first major step towards standardizing DR program development and deployment,. However, there is enough optionality in OpenADR that the deployment of servers (VTNs) at the utility or system operator and clients (VENs) at downstream sites is not a true plug-n-play experience. The OpenADR standard characteristics such as event signals, report formats, and targeting must be specified on a program-by-program basis. To address this issue, the OpenADR Alliance has developed a DR Program Guide that provides templates for the most common types of DR programs and best practices recommendations for deploying the OpenADR standard within DR programs that model the templates. The development of the DR Program guide is a significant enabler for the broader adoption of the OpenADR standard and will be the primary subject of this webinar. - Case study of how a progressive utility is conducting initial trials for demand & pricing based program for EV charging. Venki Ramachandran is currently the Director, Professional Services at AutoGrid and an OpenADR Board Member. In his role at AutoGrid, he manages the customer deployments in terms of scope definition, timeline creation, solution definition, testing, & deployment. Venki is an accomplished smart grid veteran of 20 years having founded two start-up companies, namely WACS (aka Ecologic Analytics), which was acquired by Toshiba and Verdeeco, which was acquired by Sensus early 2014. He has held various senior management positions within CellNet Data Systems and Trilliant Networks, having joined both of the companies at an early stage. He holds a M.S in Industrial Engineering from the University of Texas at El Paso and a B.S. Mechanical Engineering from V.J.T.I Bombay University, India. Vipul Gore is a proven leader, seasoned executive and visionary with over 22 years of experience in energy, networking & software solutions industry. He is a subject matter expert on smart grid, electric vehicle technology and mission-critical software solutions development. Prior to Gridscape, he held executive positions at ChargePoint, Meru Networks, Oracle Corporation, InfoObjects (founder) and several other Silicon Valley companies. He has an MS from Computer Engineering from University of Southern California, Los Angeles, USA. Lin-Zhuang Khoo is Senior Vice President at Greenlots, a global provider of open standards-based technology solutions for electric vehicle (EV) networks and grid management. Mr. Khoo oversees product and market development, operations, and global sales for the company, most recently spearheading the company’s design, commercialization, and launch of its SKY cloud-based software and mobile platform for EV charging stations. In this webinar you will hear from industry analyst Brett Feldman from Navigant Research as he shares his perspectives on the market drivers and barriers, technology trends, projects, latest developments and market projections on Automated Demand Response. Brett Feldman is a senior research analyst with Navigant Research, contributing to the Smart Utilities program. With more than 15 years of experience in the utility sector, Feldman focuses on demand response programs and their implications for the global power industry. Prior to joining Navigant Research, Feldman was a principal for demand response at Constellation Energy. He has also served as the chair of the New York Independent System Operator Price Responsive Load Working Group, the vice chair of the Independent System Operator-New England Demand Resources Working Group, and the co-chair of the Northeast Energy and Commerce Association Energy Efficiency and Demand Response Committee. The chairman of the Business Issues Committee of the Association of Demand Response and Smart Grid, Feldman is also a member of the Town Council in Franklin, Massachusetts. A Certified Energy Manager, he has experience across multiple markets including ISO-NE, NYISO, PJM, and Ontario. Feldman holds a BA in economics from the University of Michigan and an MBA from Boston University.